In loving memory of my dear wife and our mother. Margaret A Macleod of Ballachly Dunbeath died 17th January 1965 aged 58. 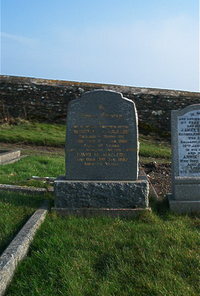 Husband David M Macleod died 3rd 1992 aged 82.